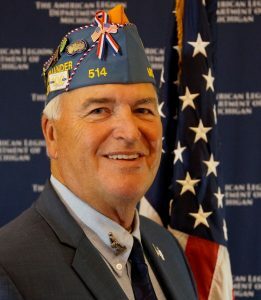 Gary joined the Sons of the American Legion in 2014 at the Lynn C. Weeman Post 514 in Ida. Gary qualifies thanks to his father Richard A. LaMunyon who was a WWII Navy veteran. Gary has served his Squadron as Chaplain, Jr. Vice Commander, Commander and Adjutant. At the District 2 level Gary served as Commander for two years. At the State level Gary has been Detachment Service Officer and 2nd Zone Commander. Gary married his wife Patricia on August 3, 1968. Gary and Pat live in Temperance, Michigan where they both grew up and have three sons and five grandchildren. Gary is retired spending nearly all of his career in sales and sales management. Gary’s special project is Legion Boys Baseball. All three of Gary’s sons played Legion ball and Gary coached for a number of years giving him considerable insight as to the positive affect this program has on young men and their families. Gary’s theme is “I am my Comrade’s Caddy”. The primary message is that Sons of the American Legion do for Veterans, what a caddy does for his golfer, whatever it takes so that they can get maximum benefit from life’s experiences. Gary has a motto he lives by, “A Life Well Lived Requires Service to Others”. Gary is confident that you will discover as he did, the more effort you put into this organization, the more you will get out of it. 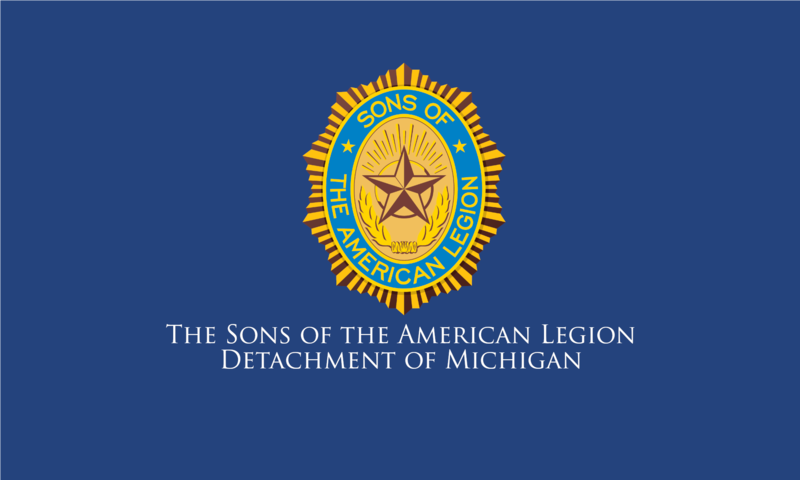 He is honored to serve you, the fellow members of the Sons of the American Legion as well as our Veterans and encourages you to call on him any time he can be of assistance.